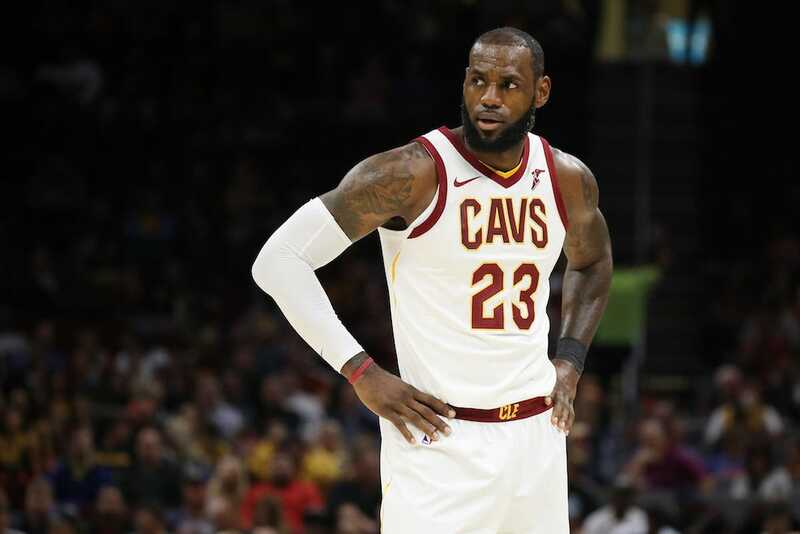 LeBron James once again criticised President Donald Trump, saying he doesn’t “give a f— about the people” in a video published on Uninterrupted. Numerous athletes took to social media to defend James, condemn Ingraham’s comments, and accuse Fox News of being hypocritical. 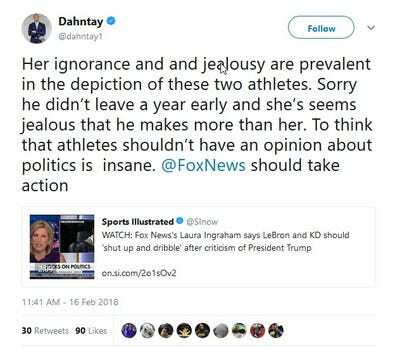 After Ingraham’s criticism, many athletes took to social media to criticise the Fox New host and accuse Fox New of taking a hypocritical stance. 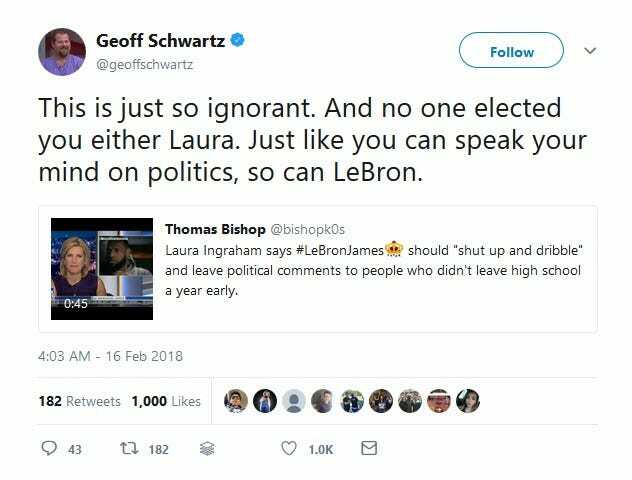 Former NFL offensive lineman and current commentator Geoff Schwartz called Ingraham’s comments “ignorant” and suggested she was being a hypocrite. 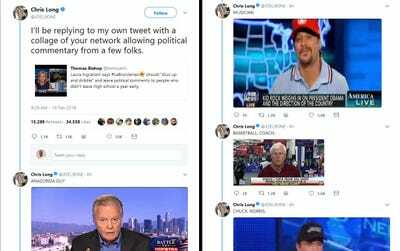 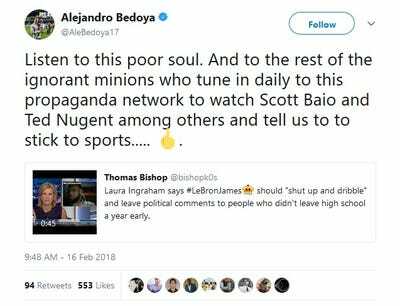 Philadelphia Eagles defensive end Chris Long posted several tweets suggesting that Fox News was being hypocritical by telling athletes to stick to sports. Here is a sample of his tweets. Dwyane Wade accused Ingraham of no longer hiding her “truths” under the encouragement of Trump. 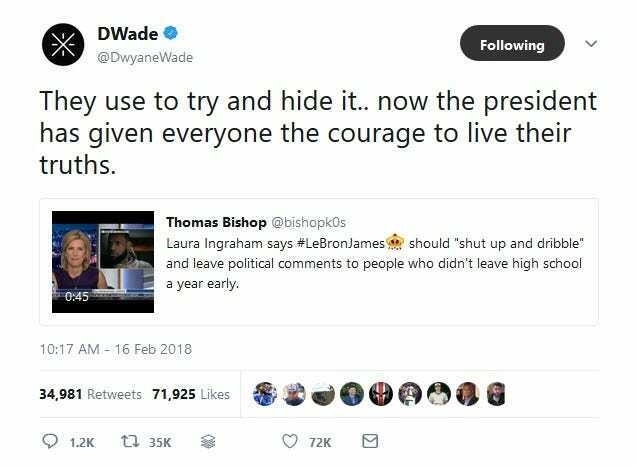 Many interpreted this as meaning Wade was accusing Ingraham of being racist, noting that she was not telling any white people to stick to sports, even when critical of the president, such as Steve Kerr. Alejandro Bedoya of MLS and the U.S. Men’s National Team also accused Fox News of being hypocritical. 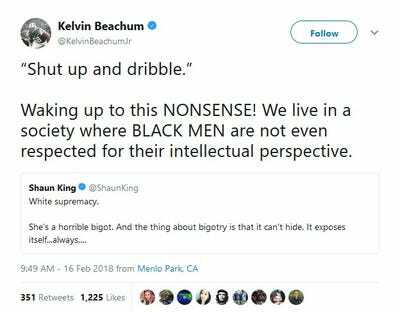 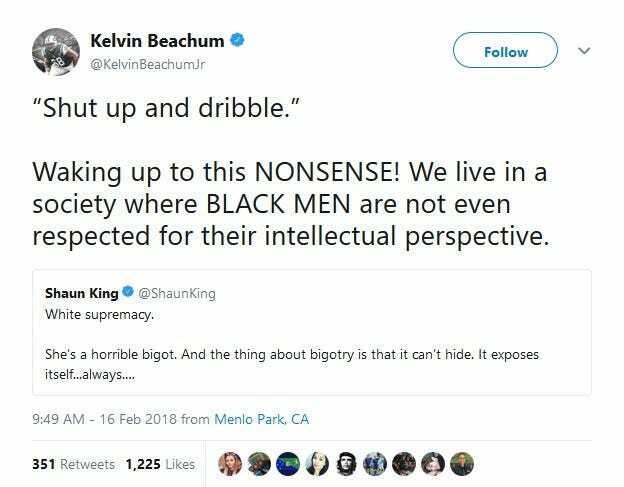 New York Jets offensive lineman Kelvin Beachum criticised Ingraham for trying to suppress the perspective of black men. NBA player Dahntay Jones called Ingraham’s comments “insane,” and called on Fox News to take action. 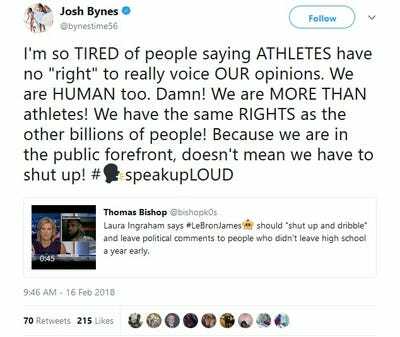 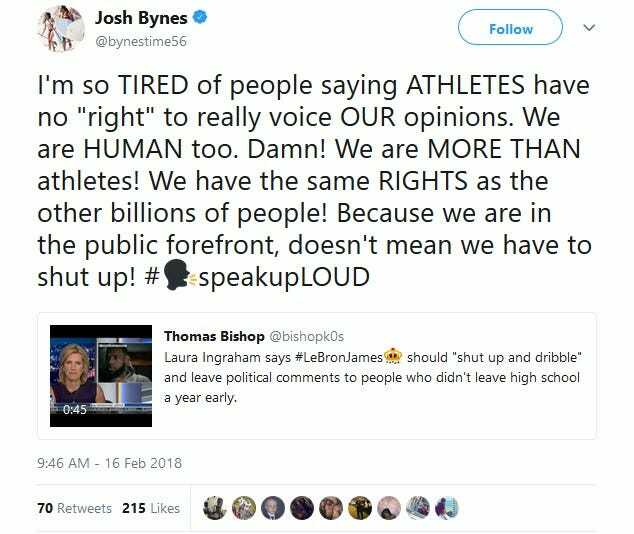 Josh Bynes of the Arizona Cardinals defended the rights of athletes to speak on political matters.